Regardless of the age of your furnace, it is essential to have it regularly cleaned and inspected to maximize efficiency and ensure safety. An annual furnace cleaning and tune-up can save you money on your heating bill and protect you from deadly carbon monoxide poisoning. It is also the best way to ensure that you don’t suddenly end up without heat on the coldest day of the year. 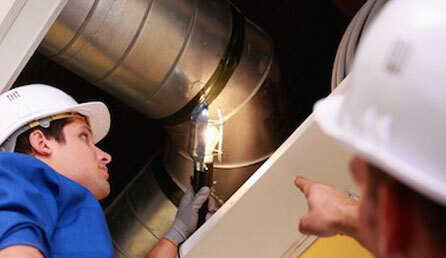 Our Lloydminster locally owned duct cleaning company offers the following maintenance services. Our technicians provide a thorough furnace maintenance and check-up process that is recommended annually for optimal heating performance. End Dust Furnace Contractors are fully trained and certified on the operation and maintenance of forced-air gas furnaces, central air conditioners, and other accessories. We have the experience and training to ensure the high quality of our service. We have been cleaning air duct systems and dryer vents since 1996. Regular AC cleaning and maintenance is vital to the health and efficiency of your central air conditioning unit. End Dust Furnace uses modern equipment for commercial air duct cleaning, house air duct cleaning & apartment dryer vent cleaning.